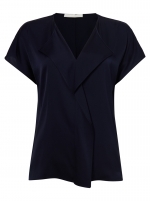 A collarless blouse by Hugo Boss, created in comfortable silk-based crepe de chine with a touch of stretch and detailed with feminine bows at the sleeves. 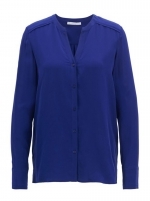 With a luxurious feel and high opacity, this straight-cut blouse has a subtly lustrous appearance with rich colour and features concealed buttons through the front. 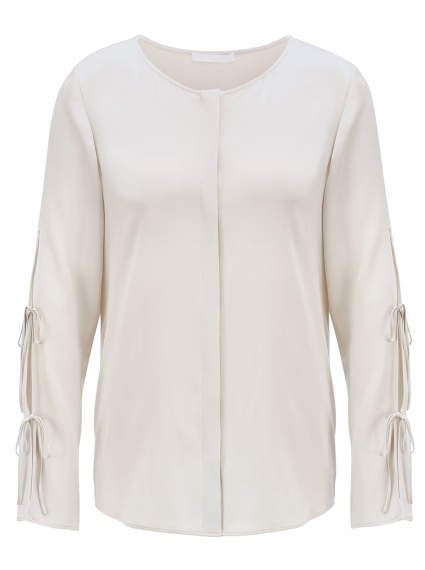 Wear this versatile blouse under a blazer for a modern professional look, or team it with your go-to denim for understated daytime glamour.